Today Bhadra Month's Purnima and Adhya Shakti Ambaji ma Fair in Ambaji Gujarat.Large Celebration in ambaji Today. The shrine of the Goddess Ambaji located in the village bearing her name, lies at the foothills of the Aravalli mountain range. It is the principal shrine of the Goddess in Gujarat and its origins to this location as far back as AD 746.The deity is represented by a triangular VISHWA Yantra, inscribed with figures and the syllable 'Shree' in the centre. There is no idol. This is a fact testifying to the temple's antiquity since worship of images of deities became popular much later. The temple of Ambaji is recognised as one of the original "Shakti Pithas" where, according to the ancient scriptures written about the goddess the heart of the Goddess Ambaji feel to earth when her body was dismembered. It is said that the tonsorial ceremony of Shri Krishna was performed at Ambaji! Bhadra Purnima is one of the biggest festivals of Gujarat, popularly known as the Ambaji Bhadra Purnima. This is because the festival is celebrated at Ambaji, a village which derives its name from the shrine located here. The village is situated at the foothills of Mount Aravalli. 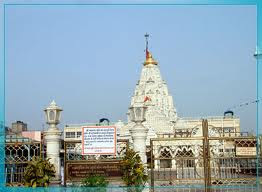 Ambaji shrine is dedicated to Goddess Ambaji, held in great regard by the people of the region. 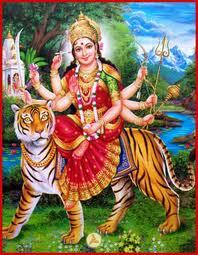 It is the main shrine of the Goddess in Gujarat. The place finds reference in as early as 746 AD, but its actual origin is still unknown. The most fascinating fact about the shrine is that there is no idol inside it. The deity is represented in the form of a triangle, inscribed with figures and with the syllable 'Shree' in the center. This is called the Vishwa Yantra. This emphasizes the fact that the temple is antique, since idol worship became popular much later. It is also regarded as one of the original Shakti peeths. According to the scriptures, when the body of Goddess Amba was dismembered, her heart fell onto this place on the earth. Another belief regarding the place is that the tonsorial ceremony of Lord Krishna was held here. This has added to the religious significance of Ambaji. 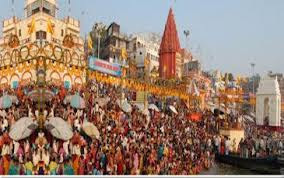 The festival is organized on the full moon day of the Bhadrapad, according to the Hindi Calendar. A number of farmers and agriculturists assemble here to worship at the shrine. Bhavai, the folk drama of the state, and Garba performances are organized to celebrate the occasion. Saptshati, the seven hundred verses in the praise of the Goddess are read in the temple. Devotees attend these assemblies and worship the Goddess to seek Her blessings. A huge fair is also held here at this occasion.